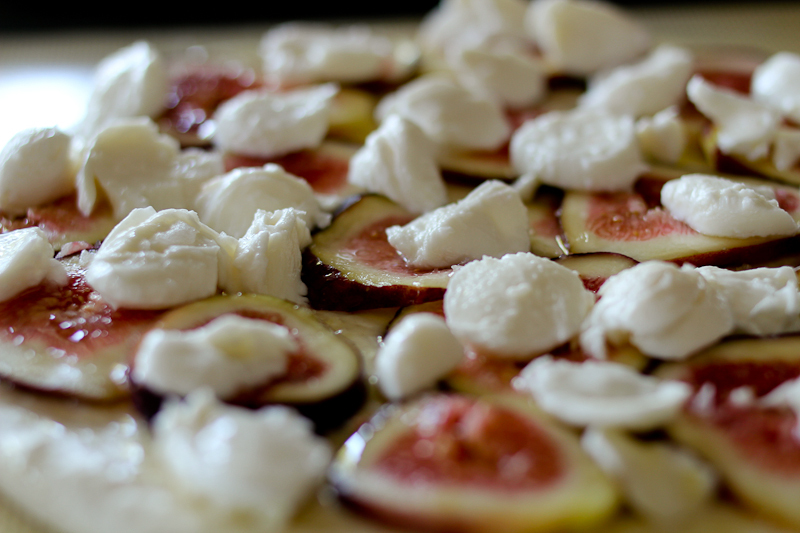 I saw these beautiful black California figs at Trader Joe’s and when I put the usual pack of prosciutto in my shopping cart, this inner image of a pizza started taking shape. Knowing I only had about 45 min at home between chauffeuring for some very important people in my life, I grabbed some pre-made pizza dough and rushed home to turn on the oven to 450F/230C. I rolled out the dough pretty thin, brushed it with olive oil, sliced the figs and distributed them all over the dough, then drizzled with some honey. Time to top with mozarella, a dash of salt and in the oven. Always bake your pizzas on the bottom rack. I forgot, so this note may be more for me than for you. 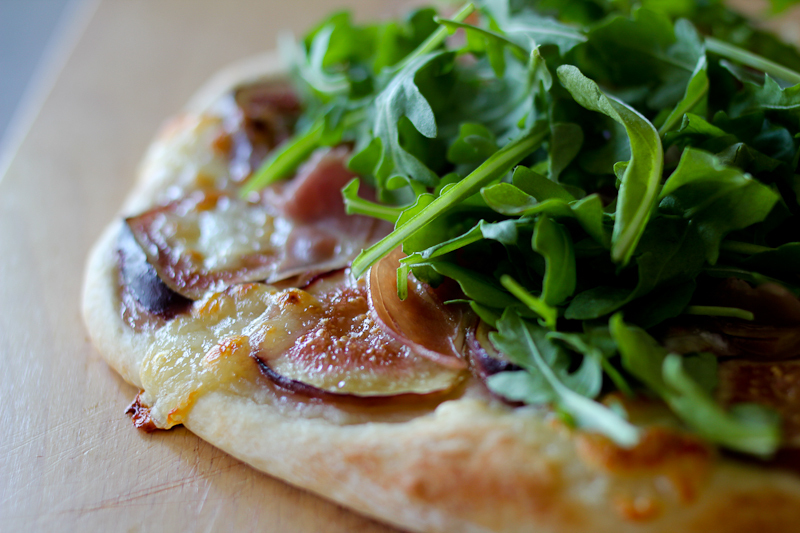 Bake for 10-12 min depending on your oven and top with prosciutto and a good handful of arugula when it is done. Yum and then I was out the door with a smile on my face and a full tummy. This entry was posted in Dinners in 30 min or less and tagged fig prosciutto pizza, pizza, pizza med figen, pizza with arugula. Bookmark the permalink.